Strained communications between EMS dispatchers, crews, and facilities can cause paralyzing ambulance delays. EMS agencies continue to struggle to make ends meet. The cost of EMS patient care continues to rise, while ambulance reimbursement rates continue to disappoint. In addition, Federal and state regulations continue to multiply. When payers and regulators fail to see the immense value EMS brings to healthcare, economical solutions can be hard to find. 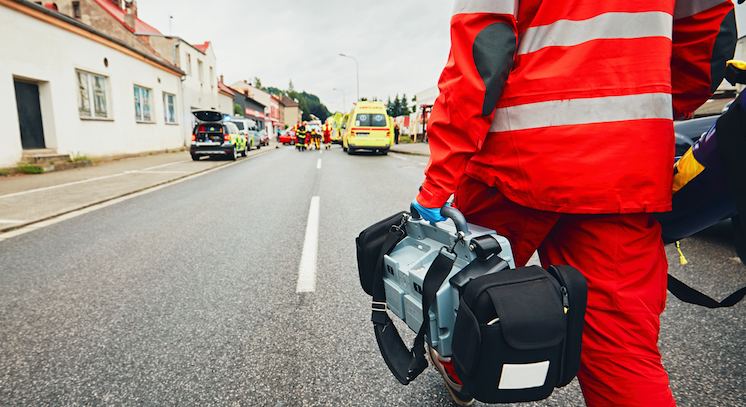 This post, the second in a 10-post series, highlights another EMS best practice intended to help your agency keep its footing by increasing efficiency and improving revenue. Imagine your crew picks up a dialysis patient and asks the nurse for the Physician Certification Statement (PCS). The doctor hasn’t signed it yet, so the crew decides to retrieve it later. Life happens, people forget, and the problem doesn’t resurface until the billers have to deal with it. If they can’t obtain the PCS, every resource and effort expended comes out of your wallet. Strained communications between dispatchers, crews, and facilities cause ambulance delays that can paralyze your entire EMS response. They waste resources, sabotage patient care, and curb reimbursement. Facilitate communications to keep dispatchers and crews on the same page by deploying an EMS dispatch system that supports internal communication between facilities and dispatchers. Automate document capture and ensure that important documents travel with EMS dispatch data to the ePCR and on to the claim. You’ll receive supporting documentation faster and eliminate distractions from patient care. Want to see all 10 EMS best practices? Download our eBook, Ten Best Practices to Optimize EMS Workflow, to gain nine more best practices that will help you revitalize your organization, increase efficiency, and improve revenue. It includes concrete actions that you can take to streamline dispatch, simplify patient care reporting, and improve EMS billing to maximize reimbursement.